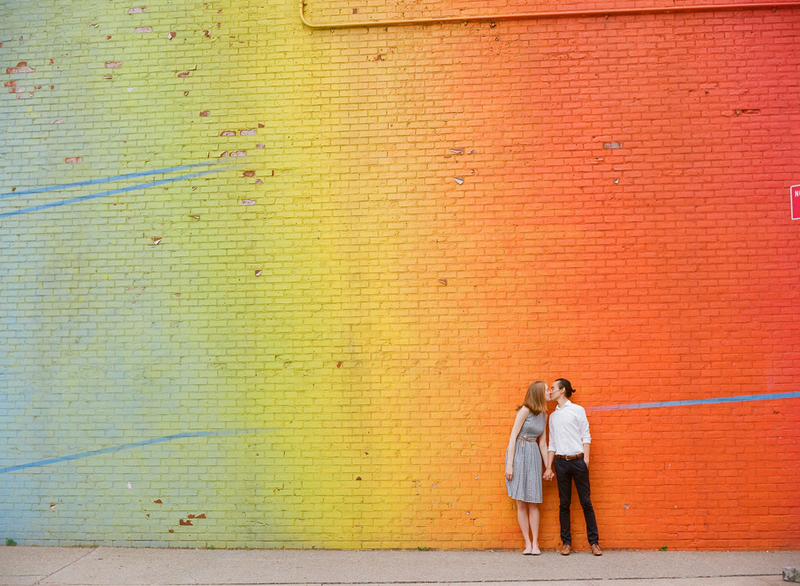 Rachel and Jason are crazy about each other, and I had the joy of shooting their engagement in NYC last month. As we traipsed around the city from Grand Central Station in Manhattan to the Brooklyn Bridge, these two stole the spotlight with their glowing excitement to be together. The pair's relaxed yet refined style combined with ear-to-ear grins made for some gorgeous images.